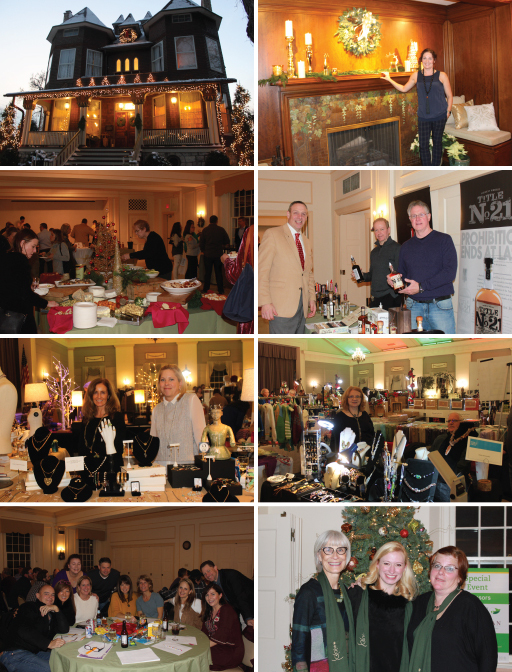 We are so grateful for everyone's continued support of the Holiday Housewalk & Market. Our sincerest thanks go out to Gigi and Steve Hoke, Jane and Kevin Saedi, Stephanie and David Schrodt, Caroline and Hugh Smith, who generously opened their homes to IWS this year. Plus, the Board of Directors of the Oak Park River Forest Museum and Frank Lipo, the Museum's executive director for opening its doors and letting us view a special part of history. This event would not be possible without the generous time and talent of our friends, more than 200 Infant Welfare Society volunteers. Thank you, from the bottom of our hearts! Our 2018 Sponsors and In-Kind Donors. We hope you enjoyed touring the five beautiful locations in our community and finding gifts for everyone on your list at the Holiday Market. Thanks again for kicking off your holiday season during the HHWM weekend and making this event possible! We wish you and yours a happy and healthy new year. Please shop our Artisan Vendors all year round. Four private homes and the OPRF Museum beautifully decorated for the 2018 holidays. We greatly appreciate the The Nineteenth Century Club for their generous contribution as a market sponsor.